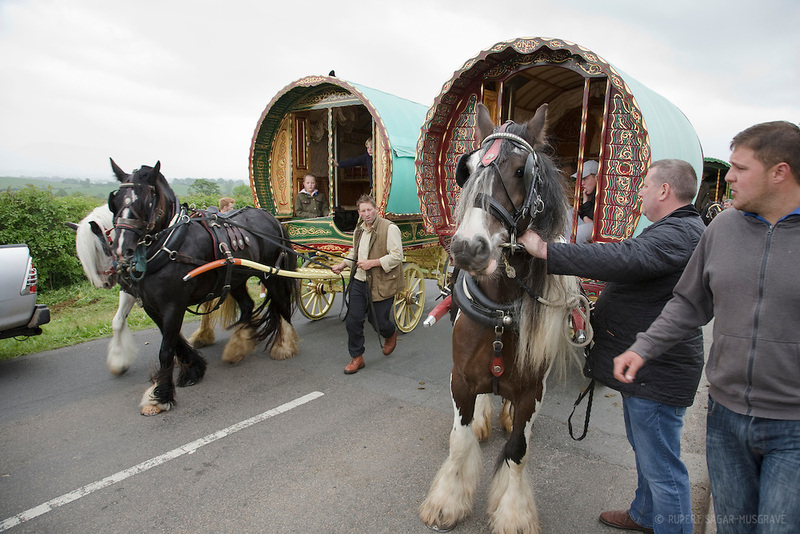 Travelling communities arrive from all over the UK and Ireland for the first day of the Appleby horse fair, the largest annual gathering of the Gypsies and Travellers in Europe. Thursday 7th June 2012 at Appleby, Cumbria, England, UK. Horse drawn bow-top wagons arrive from all over the UK on the first day of the Appleby Fair, the biggest annual gathering of Gypsies and Travellers in Europe. The wagon on the right belongs to Jim Harbour who has travelled from Essex.